I haven’t actually been out in my vegie patch this week. I’ve been rotten sick and hating every second of it. 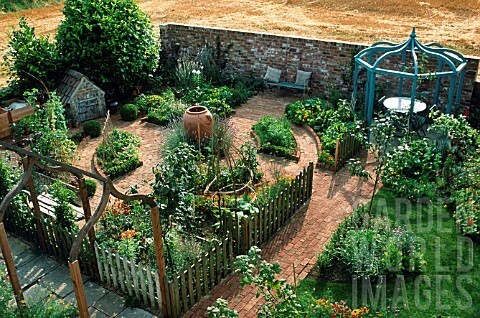 It did however give me some time to look for inspirational garden design pictures for when we re-do the vege garden. It sort of solidified my thoughts on needing a bigger space, but I’m not going to move the patch to a completely different spot. Instead I need to work on finding a new solution for the clothes line. 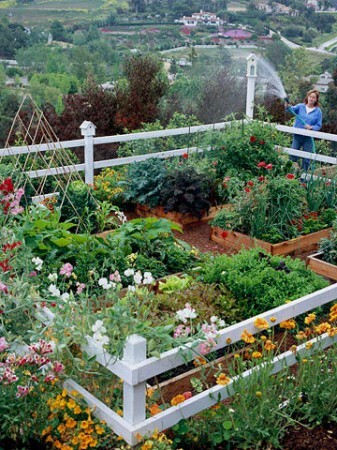 At the moment I have a Hill’s Hoist which takes up a lot of space that could otherwise be garden. I need to look into getting one of those retractable lines and attaching it to the shed….some how. Here are some picture I found. 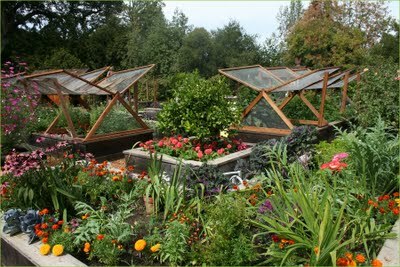 I like the idea of garden beds with tall posts on the corners to accommodate netting and trellis. My tomatoes were an absolute mess of netting and wobbly stick this year. I want something stable and reliable (said every girl ever).